We've been having so much fun getting ready to celebrate Halloween over the past few weeks! 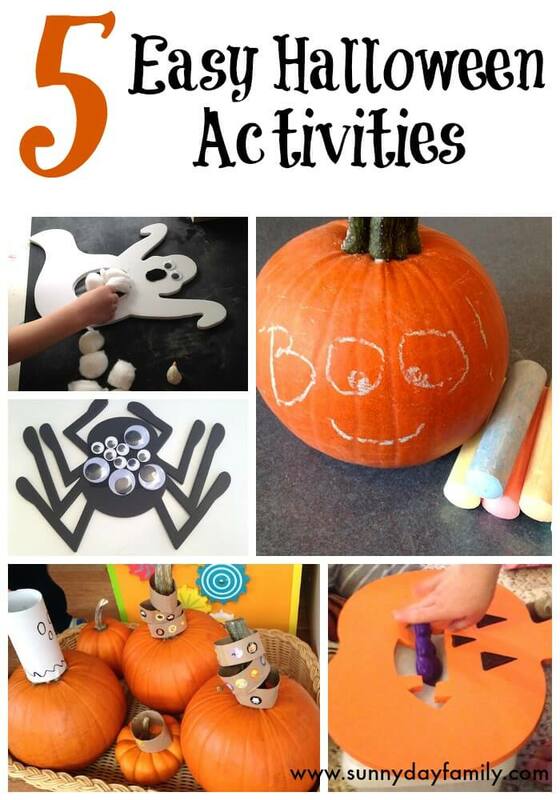 If you haven't had a chance to put together any Halloween activities that are toddler friendly, I've got you covered. Here's a quick roundup of our 5 favorite Halloween activities that are quick, easy, and perfect for kids ages 1-3. Boo! 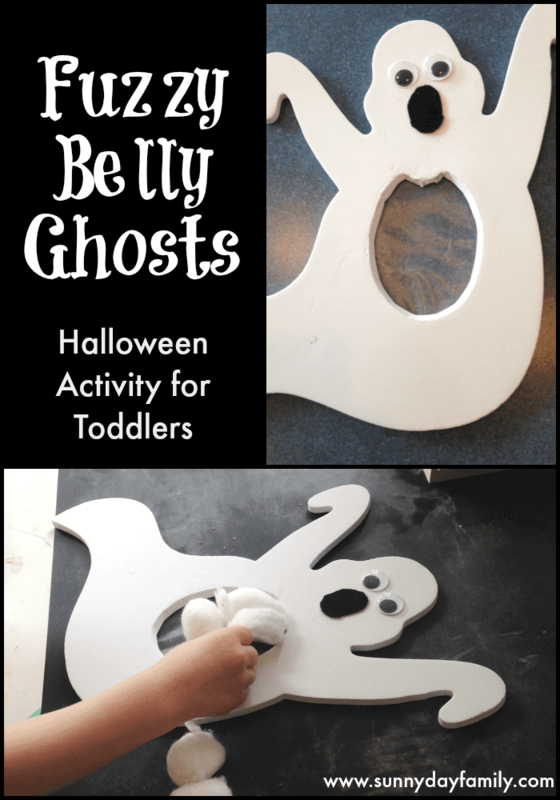 Fuzzy Belly Ghosts - An easy craft that's great for fine motor skills. 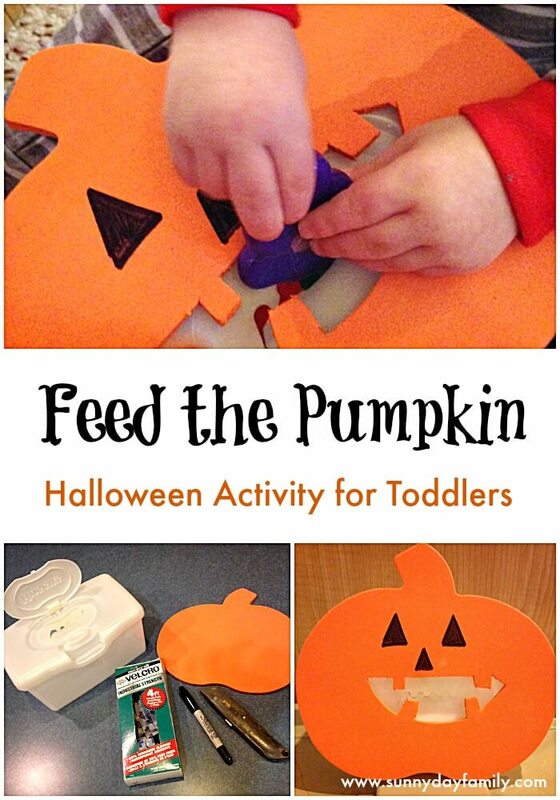 Feed The Pumpkin - a great way to up cycle a baby wipes box into a fun game! 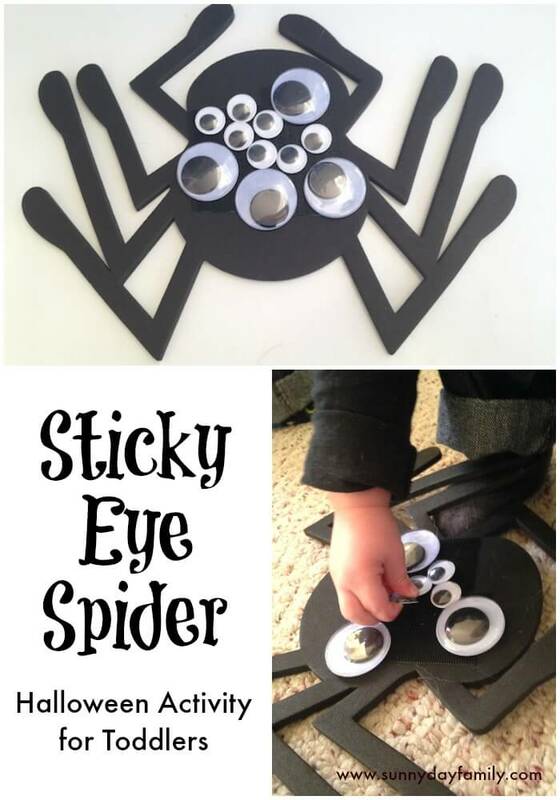 Sticky Eye Spider - a fine motor activity that's cute too. 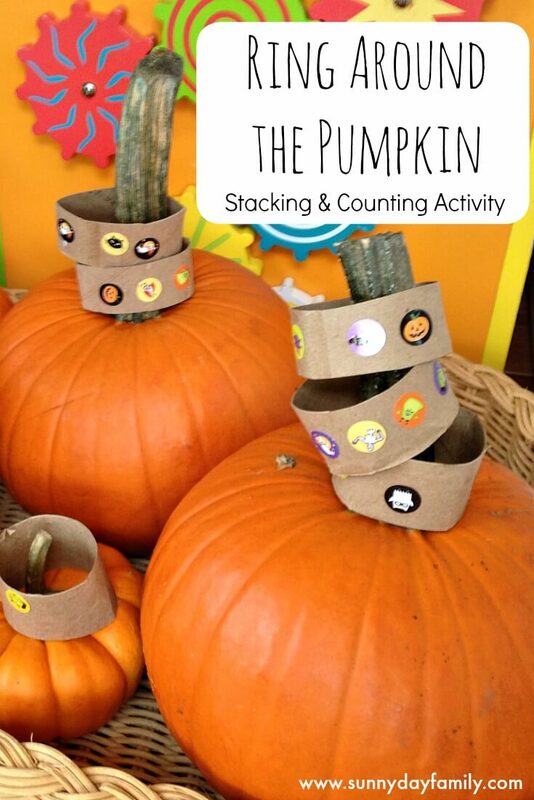 Ring Around The Pumpkin - a stacking and counting activity for toddlers. Chalkboard Pumpkins - draw, erase, and start again! 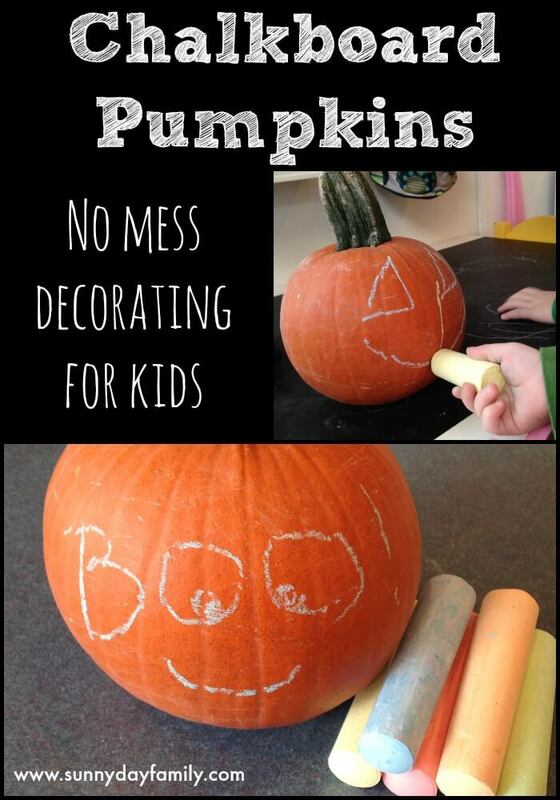 A perfect no mess pumpkin decorating idea. These are all very cute ideas! Love the rings on the pumpkin stems! These are super cute! Thank you for sharing this post on The Sunday Showcase! Brilliant ideas -- Thanks for linking with this week's Parenting Pin it Party. SUPER CUTE! I love these ideas and could so use them in my classroom !